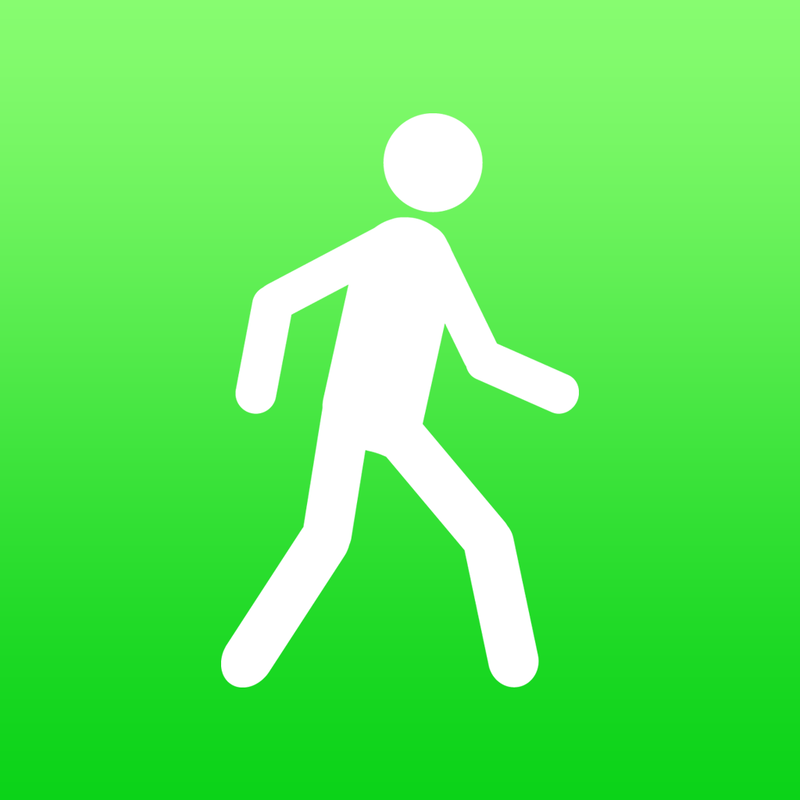 Steps+ (Free) by PearApps is probably one of the better pedometer apps in the App Store. 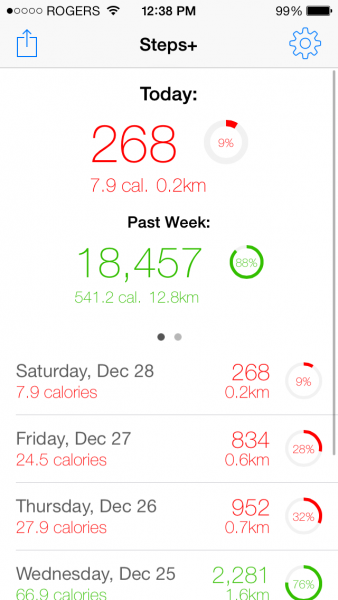 We saw this trend kick off with the app Pedometer++, and since the birth of that app, searching the App Store with a query such as “M7,” “pedometer,” or “steps” turns up a massive list of simple step tracking apps that have a whole lot of thin typefaces, blank space, and limited features. Basically, if you want an app that will show you how many steps your iPhone 5s’ M7 chip counted, there’s no shortage of them. So, with that said, what’s different about Steps+? 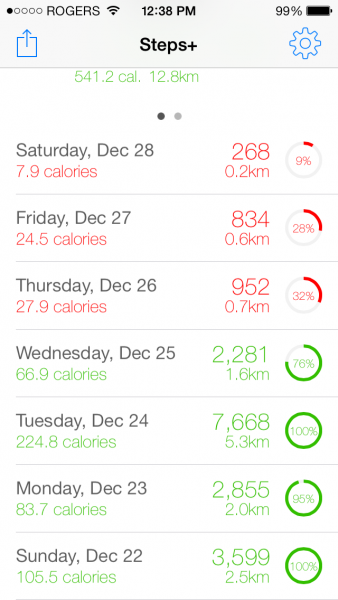 While the app is probably most similar to Pedometer++, I prefer the layout of Steps+ a little more. Thankfully, the app will automatically pull in data from the past week once you open it for the first time, so you won’t be looking at a blank screen. 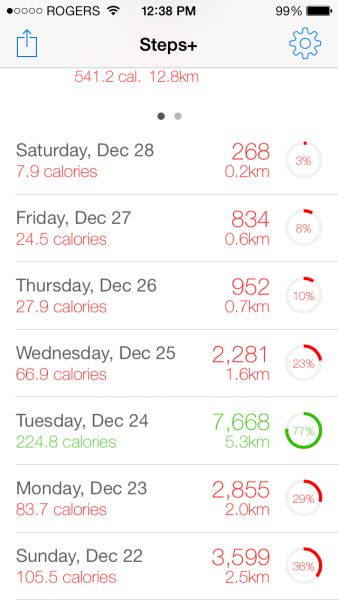 Once your data is in the app, you will be able to see your total steps for each day including the current one, as well as a cumulative total of steps across the past seven days. 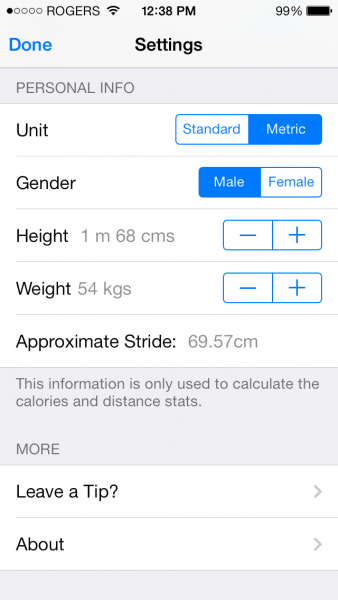 Steps+ also displays an estimated count of calories burned based on information about yourself that you input into the app’s settings such as your height, gender, weight, and approximate stride length. 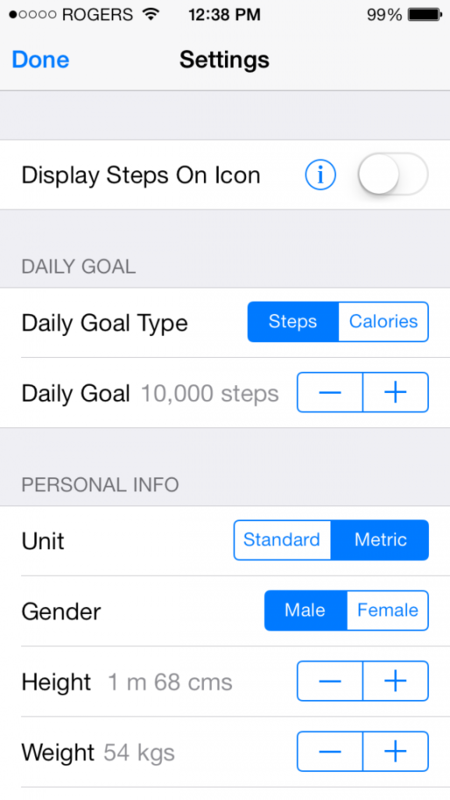 Also, by setting a daily goal in the settings area of the app, data will be highlighted in red or green to indicate whether or not your goal is met. 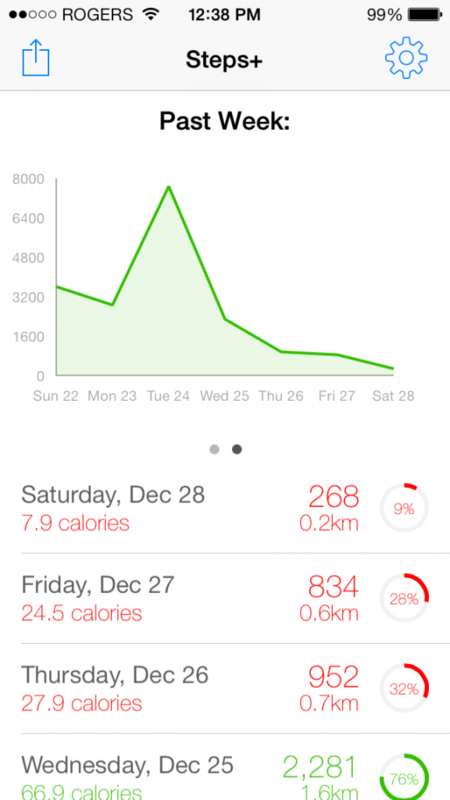 Another nifty feature included in Steps+ is the graph that you can view by swiping to the left, which displays your steps during the past week as well. Also, like most other apps in this category, Steps+ has the option to display your steps for the day on the app’s icon as a badge. 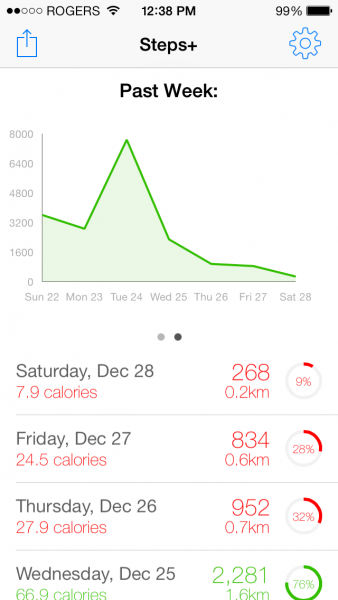 I have been using Azumio’s Argus fitness tracker since I got my 5s, because it shows a lot of information, but its odd honeycomb interface is something I have not been able to get used to. 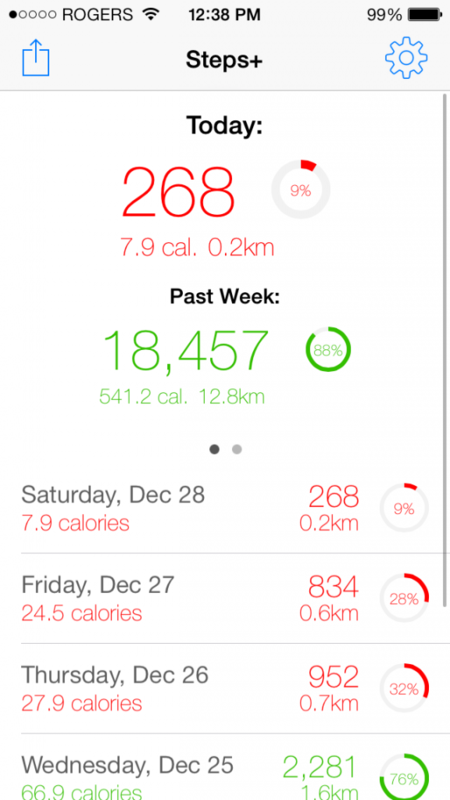 As a result, I will be using Steps+ for the next chapter of my step counting journey. 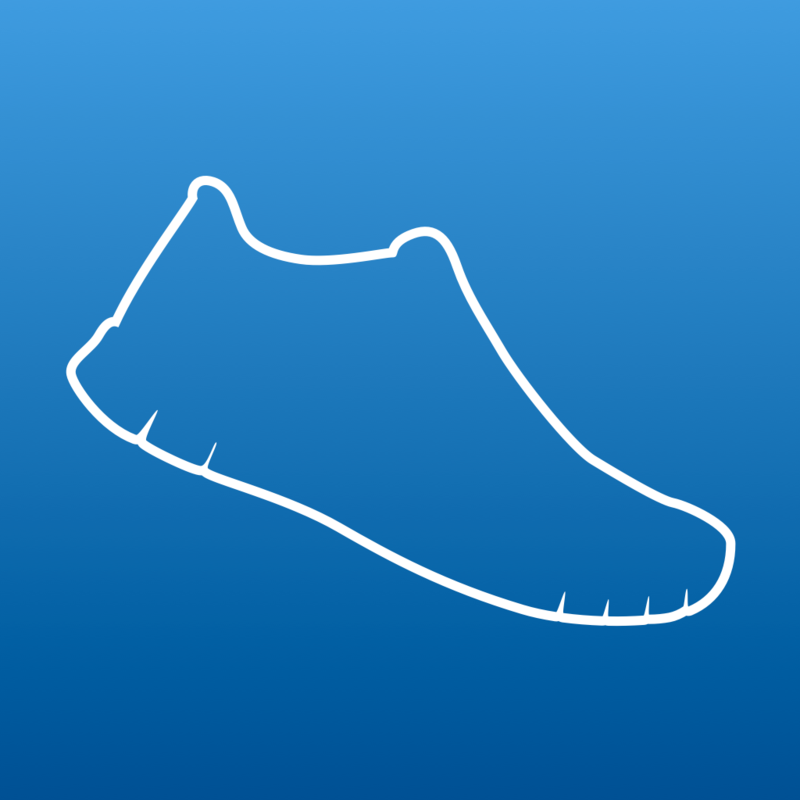 Although most of the other pedometer apps in the App Store appear to be similar, it seems like Steps+ combines the best in all of them. 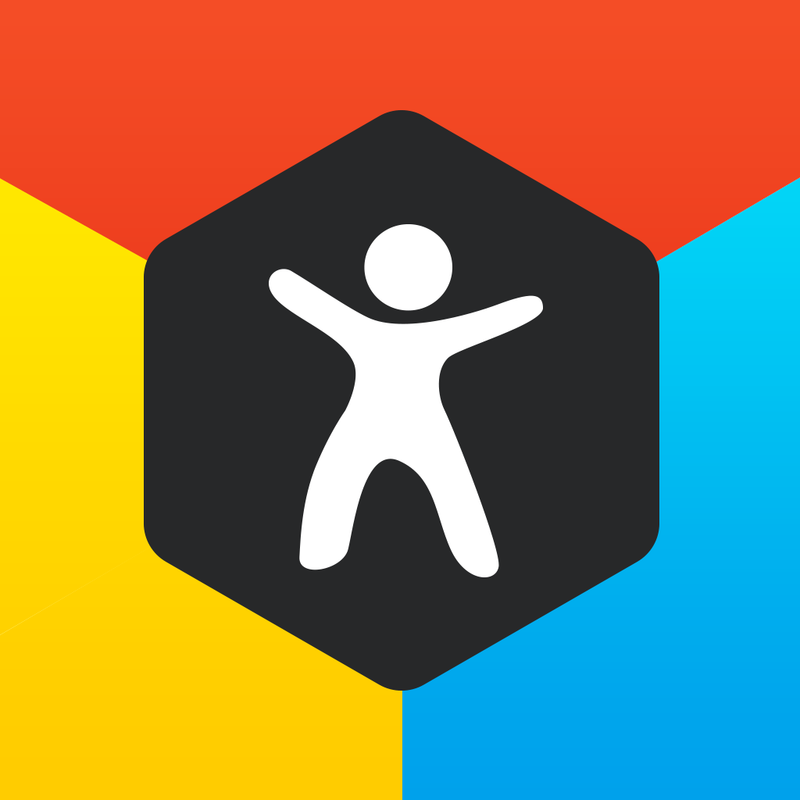 To make things better, Steps+ is absolutely free in the App Store, with no ads or in-app purchases. Just note that an iPhone 5s is required, since the app needs the M7 motion coprocessor to collect your movement data.